Honor has used its signature style statement on both the smartphones and it does justice to the Honor 7A to an extent. The device is simple and elegant in the first look and its compact size also makes sure of the ease of use for single-handed users. The only hard keys on the smartphone are placed on the right, with the volume rockers placed above the power key. The full view display is surrounded by thin bezels on the side and thicker bezels at the top and the bottom. While the bottom bezel sports the Honor logo, the top houses the selfie camera, LED flash and an earpiece. It’s the back of the Honor 7A which is a bit more attractive than the front. The dual camera setup has been placed on the top left, aligning with the top antennae band. The fingerprint sensor has been placed at the center and there is another antennae band running at the bottom of the back panel. Right above it is another Honor logo. All in all, it’s a neat arrangement of elements on the Honor 7A that also looks pleasing to the eye. The plastic back also makes sure there are no fingerprint smudges left on the smartphone upon use. The display on the Honor 7A delivers an HD+ image quality at a 1440x720 pixels resolution. This is enough for regular smartphone tasks, with an ample brightness, vivid colors and a high contrast. The absence of a FullHD+ resolution is felt, however, while watching videos or playing graphics intensive games. The Honor 7C is powered by a Snapdragon 430 SoC and carries a 3GB RAM. The combination is enough to make do with your daily smartphone tasks. This can include calling, messaging, using social media apps, watching videos and even playing games. There are a few lags experienced when multiple apps are running in the background but this is easily ignorable and as long as you can keep a check on the background apps, you are good to go. The Android 8.0 Oreo operating system with EMUI 8.0 on top works well for the smartphone. We experienced an easy navigation around the smartphone’s interface and found it to be quite easy to use in general. 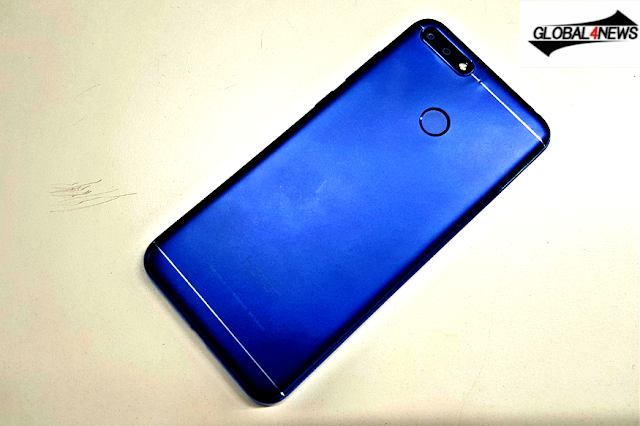 The 3000 mAh battery on the Honor 7A also caters to a day’s need but at a limited performance. Playing games and watching high-quality videos will consume the battery at a faster rate, thus not letting it last through an entire day. Also, one might miss the fast charging support on this one while charging. Honor 7A comes as a very standard Honor device on a budget. It offers a dual camera setup at the back for the depth effect, ample display area to play around with and the latest operating system for all the latest Google-powered features. Even the performance of the smartphone is enough to cater to a standard user’s needs. For now, all this seems enough to justify the Rs 8,999 price at which the smartphone retails. We will be coming up with a full review of the device soon though to check out its performance limits and the camera quality. Stay tuned to this space for the review.